Henrymeyerite: Mineral information, data and localities. Named in honor of Henry Oostenwald Albetjin Meyer (1937 - 15 June 1995, West Lafayette, Indiana, USA), Professor at Purdue University for his studies of diamonds. 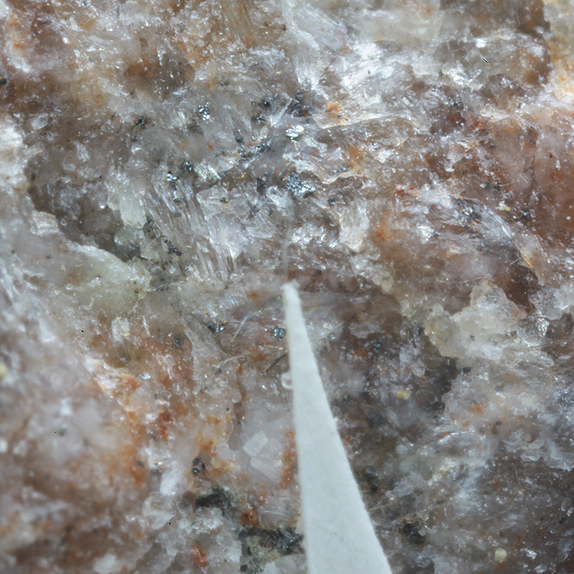 This page provides mineralogical data about Henrymeyerite. Geological Museum of the Kola Science Center in Apatity, Russia. Mitchell, R.H., Yakovenchuk, V.N., Chakhmouradian, A.R., Burns, P.C., Pakhomovsky, Y.A. 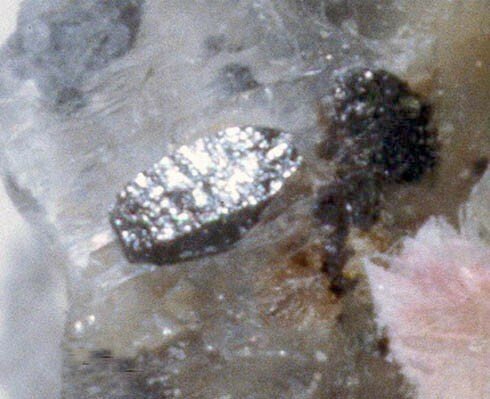 (2000) Henrymeyerite, a new hollandite-type Ba-Fe titanate from the Kovdor Complex, Russia. The Canadian Mineralogist: 38: 617-626. Mitchell, R.H., Yakovenchuk, V.N., Chakhmouradian, A.R., Burns, P.C., and Pakhomovsky, Y.A. (2000) Henrymeyerite, a new hollandite-type Ba-Fe titanate from the Kovdor Complex, Russia. The Canadian Mineralogist: 38: 617-626. Jambor, J.L. and Roberts, A.C. (2001) New mineral names. American Mineralogist: 86: 197-200. Mandarino, J.A. (2002) New minerals. The Canadian Mineralogist: 40: 247-254. Kogarko, L.N., Kurat, G., and Ntaflos, T. (2007) Henrymeyerite in the metasomatized upper mantle of eastern Antarctica. The Canadian Mineralogist: 45: 497-501. Biagioni, C., Capalbo, C., and Pasero, M. (2013) Nomenclature tunings in the hollandite supergroup. European Journal of Mineralogy: 25: 85-90. Mitchell, R.H., Yakovenchuk, V.N., Chakhmouradian, A.R., Burns, P.C., and Pakhomovsky, Y.A. 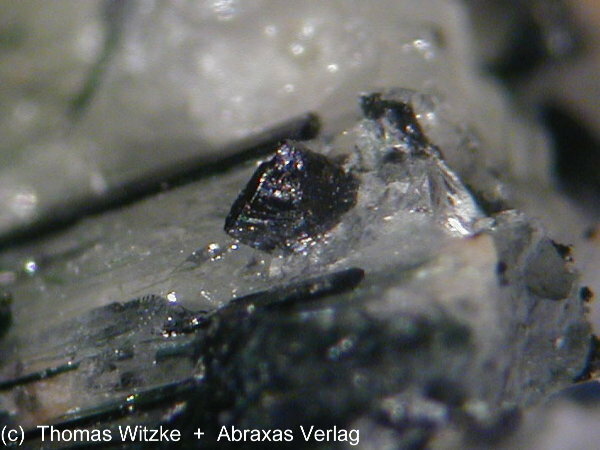 (2000) Henrymeyerite, a new hollandite-type Ba-Fe titanate from the Kovdor Complex, Russia. The Canadian Mineralogist: 38: 617-626.; Jambor, J.L. and Roberts, A.C. (2001) New mineral names. 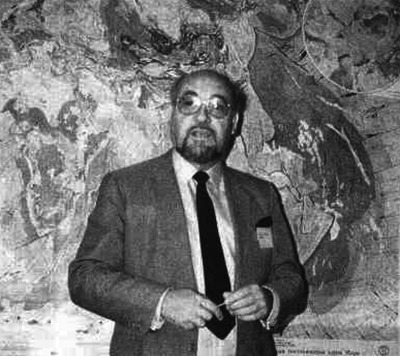 American Mineralogist: 86: 197-200. Chakhmouradian A.R. & Mitchell R.H. (1999) Primary, agpaitic and deuteric stages in the evolution of Accessory Sr, REE, Ba and Nb-mineralization in nepheline-syenite pegmatites at Pegmatite Peak, Bearpaw Mts., Montana, Mineral. Petrol., 67: 85-110.
www.cseg.ca/conferences/2000/376.PDF; Chakhmouradian A.R., Mitchell R.H. (2002): The mineralogy of Ba- and Zr-rich alkaline pegmatites from Gordon Butte, Crazy Mountains (Montana, USA): comparisons between potassic and sodic agpaitic pegmatites. Contrib. Mineral. Petrol., 143, 93-114.